On Outram - Mosgiel Road. Air New Zealand flight Wellington to Dunedin. Blue Mountains limeworks, Dunback. Air New Zealand flight Wellington to Dunedin. 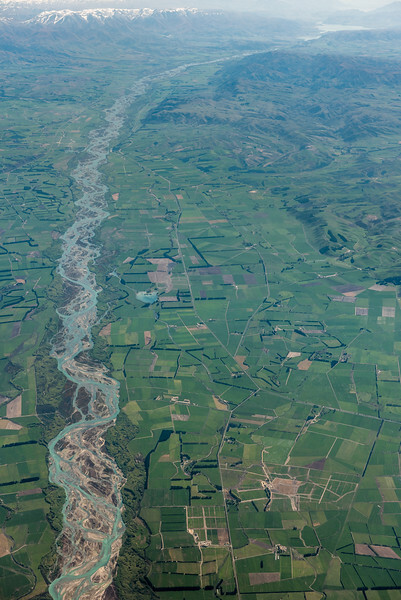 Waitaki River. Air New Zealand flight Wellington to Dunedin. 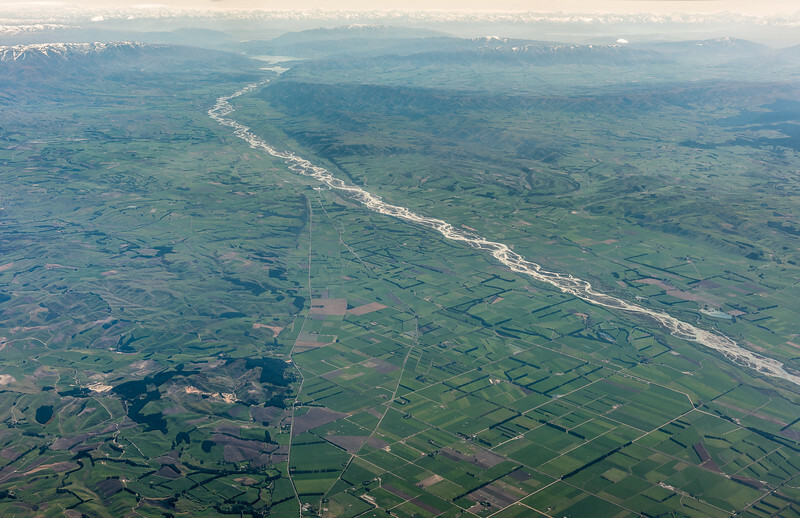 Rangitata River. Air New Zealand flight Wellington to Dunedin. 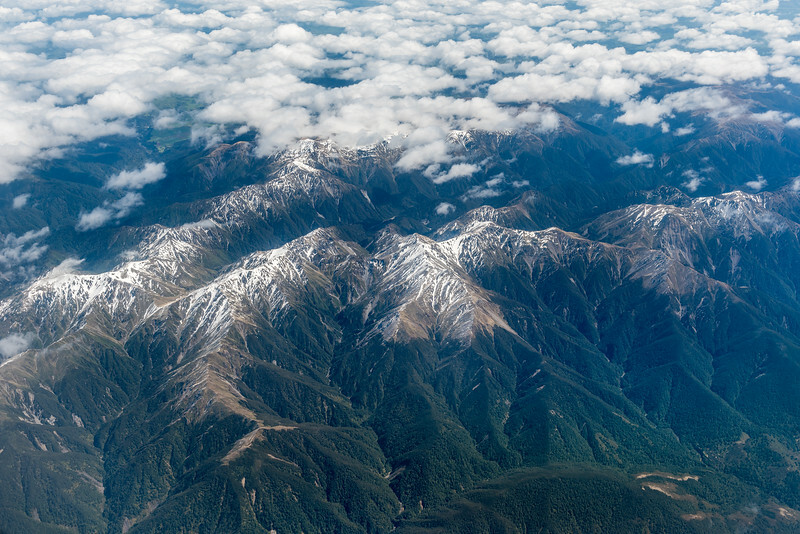 View of the Southern Alps. 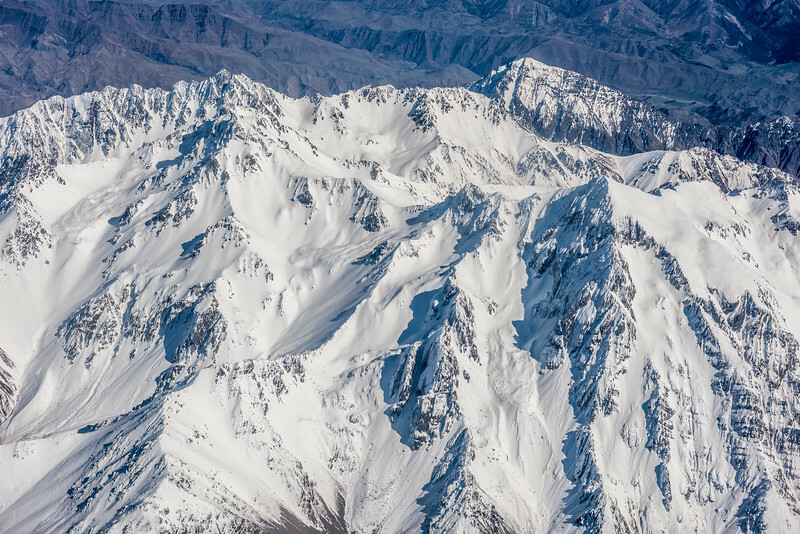 Mount Sefton, Aoraki/Mount Cook and Mount Tasman are at centre image. Lake Hood is in the bottom right corner. Air New Zealand flight Wellington to Dunedin. 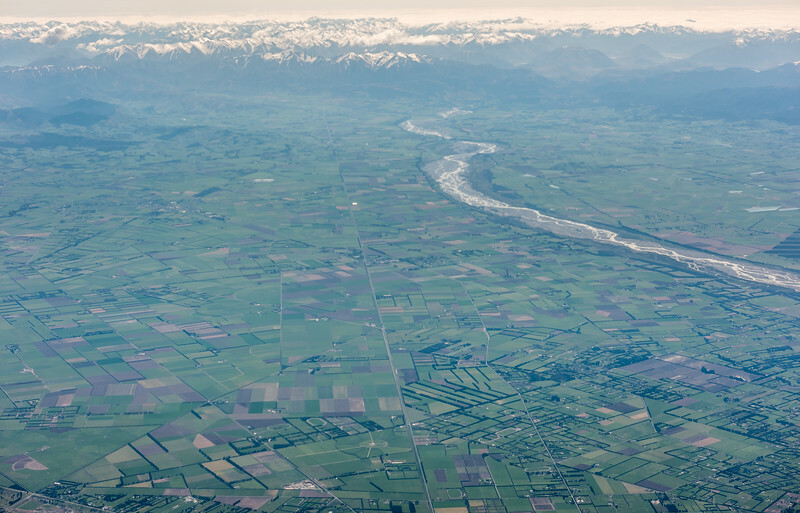 Rakaia township and river. Lake Coleridge is in the far distance. Air New Zealand flight Wellington to Dunedin. 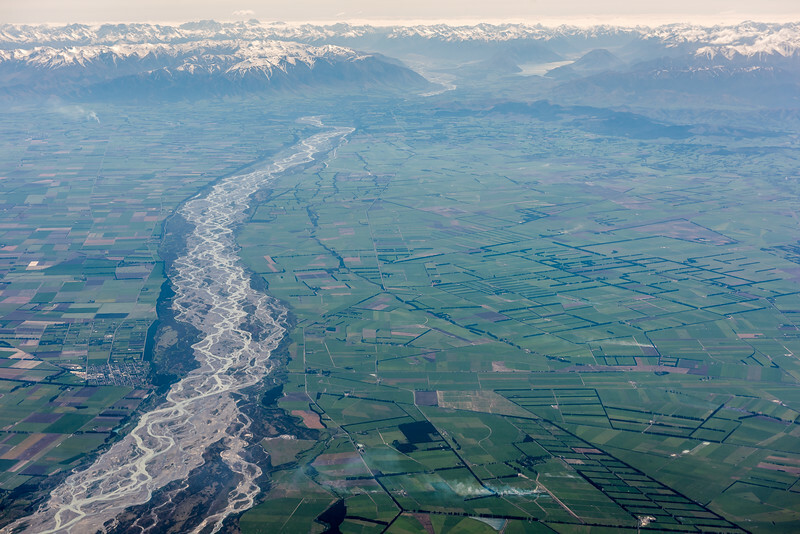 Waimakariri River. Air New Zealand flight Wellington to Dunedin. 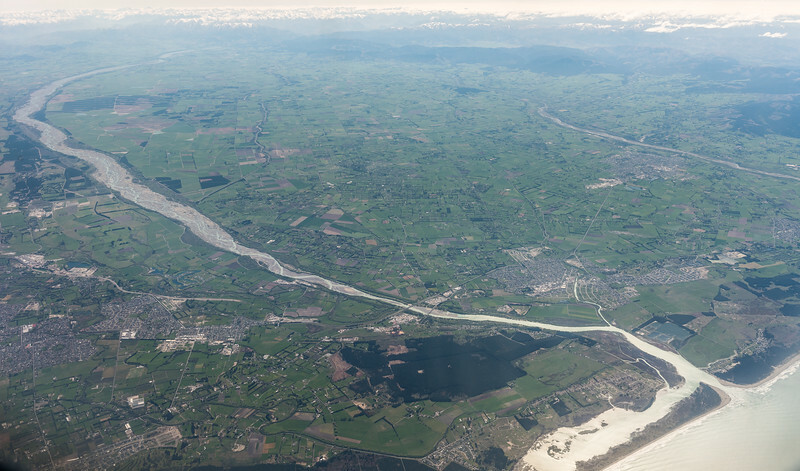 Waimakariri River mouth and Kaiapoi. Air New Zealand flight Wellington to Dunedin. Motunau Beach and Motunau Island. Air New Zealand flight Wellington to Dunedin. 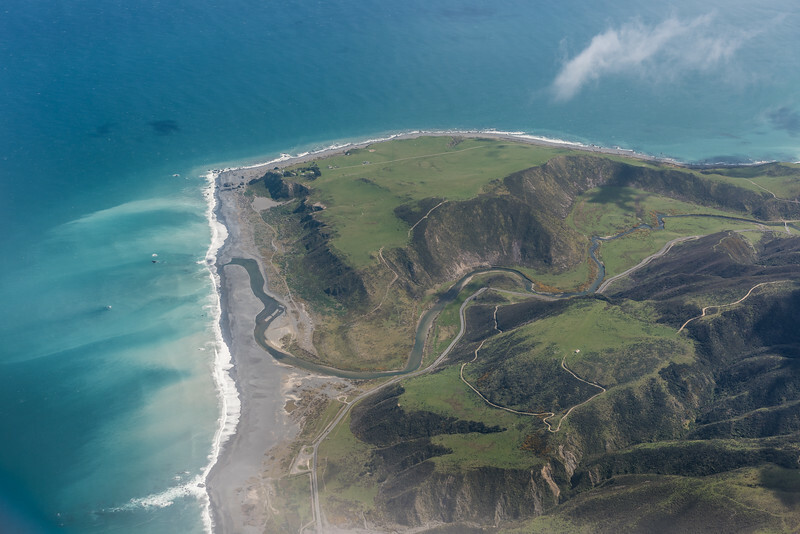 The coast just south of the Hurunui River. Air New Zealand flight Wellington to Dunedin. Hurunui River and Point Gibson. Air New Zealand flight Wellington to Dunedin. Waiau River. Air New Zealand flight Wellington to Dunedin. 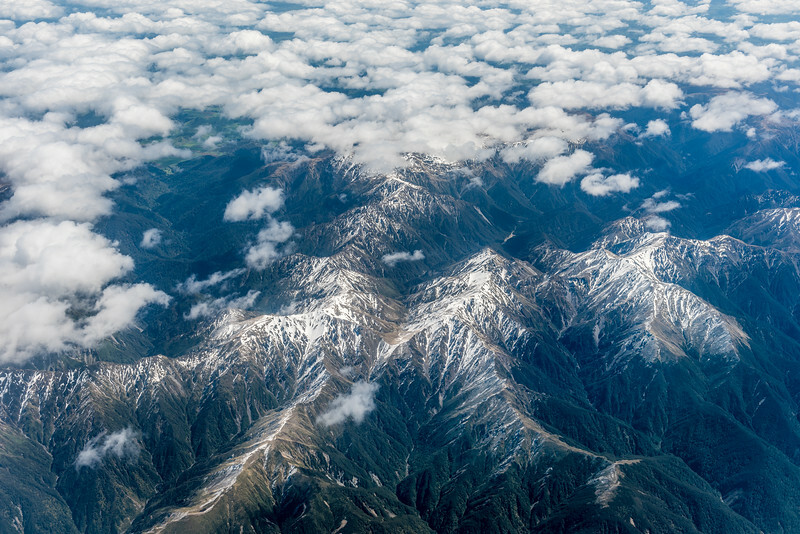 Seaward Kaikoura Range. 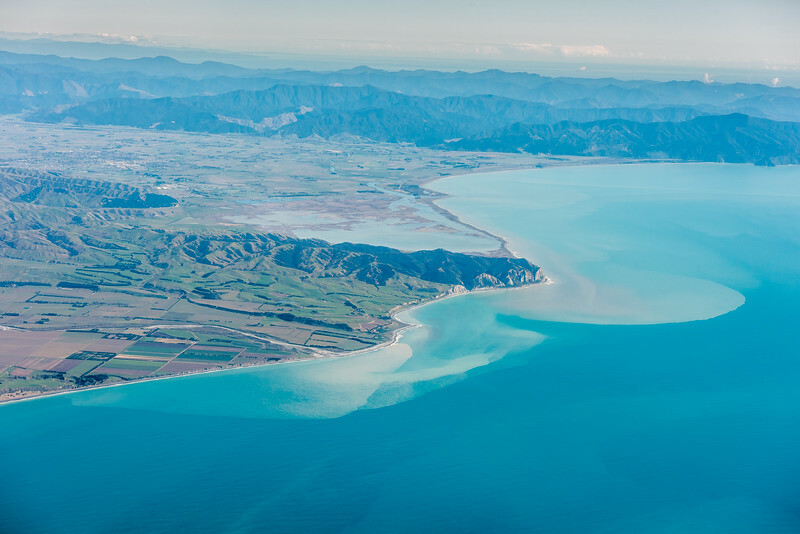 Manakau and Te ao Whekere are the two most prominent peaks. Air New Zealand flight Wellington to Dunedin. 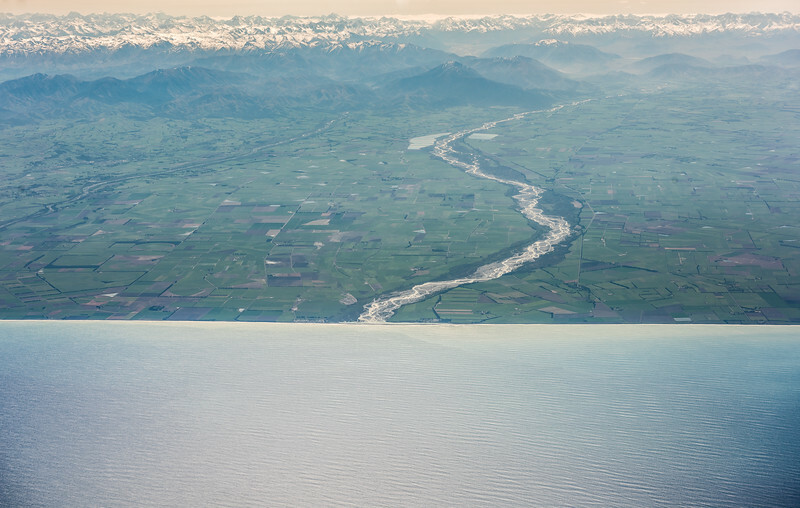 The Clarence River mouth, with the Inland Kaikoura Range in the background. 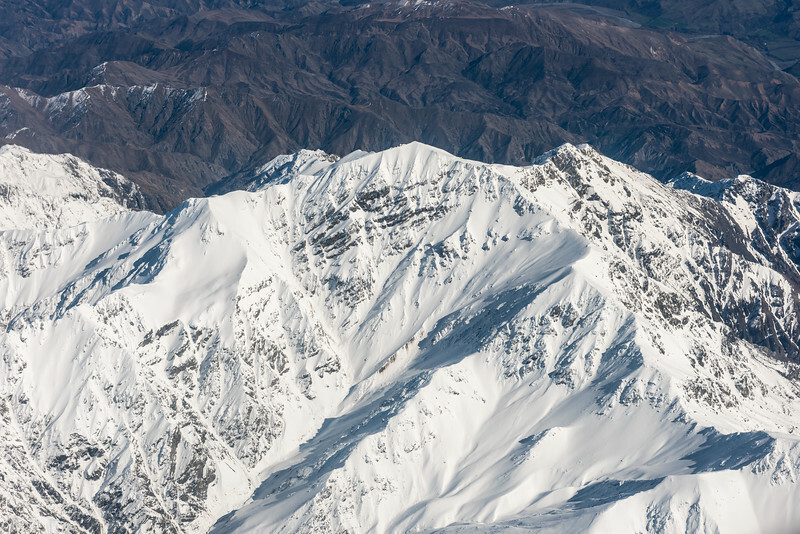 Mount Alarm and Tapuae-O-Unenuku are the two most prominent peaks. Air New Zealand flight Wellington to Dunedin. 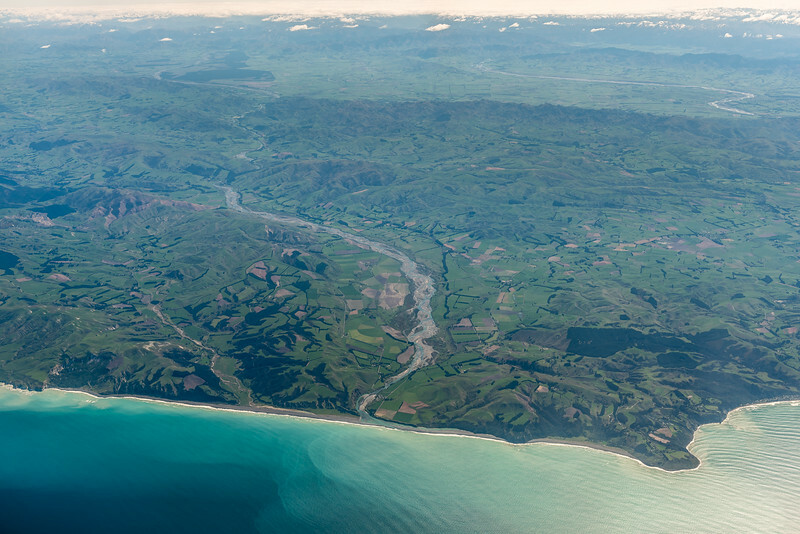 Baring Head / Ōrua-pouanui and the Wainuiomata River mouth. Air New Zealand flight Napier to Wellington. 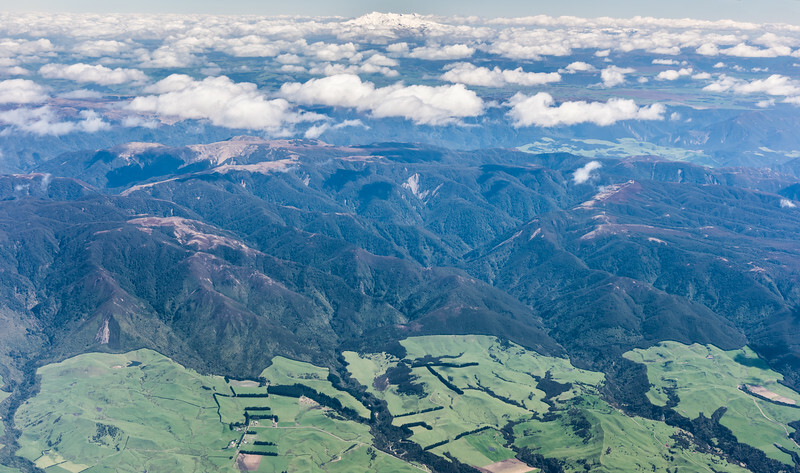 Rangioteatua and Mangaweka, southern Ruahine Range. 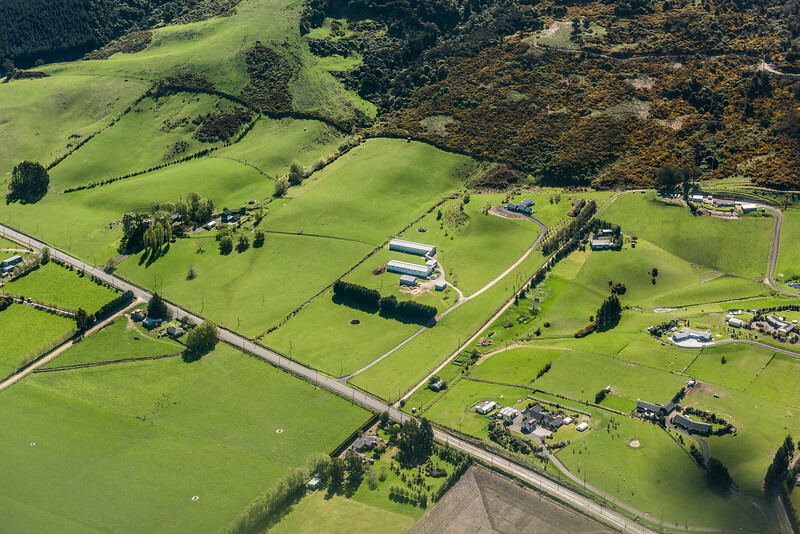 Waterfall Hut is in the river flat at centre image. Air New Zealand Flight Napier to Wellington. 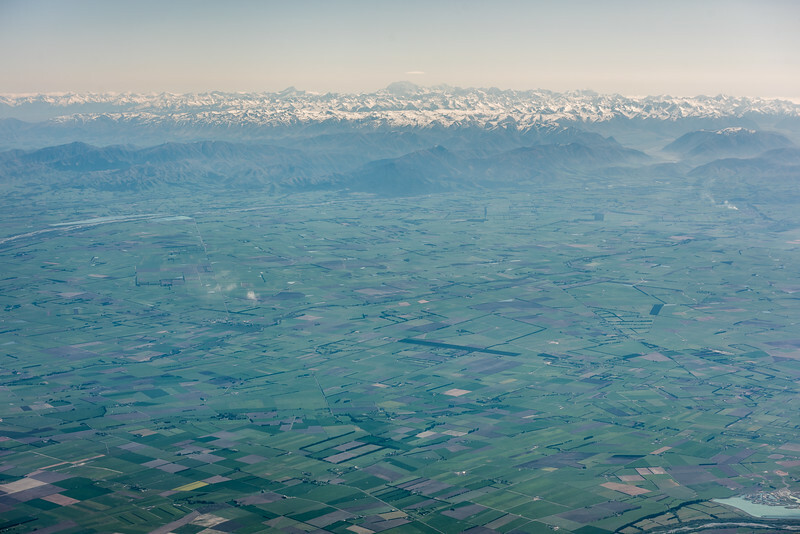 Ohawai and Ikawatea, Ruahine Range. Ruapehu is on the skyline in the distance. The two streams bottom right are Gull Stream and Big Hill Stream. 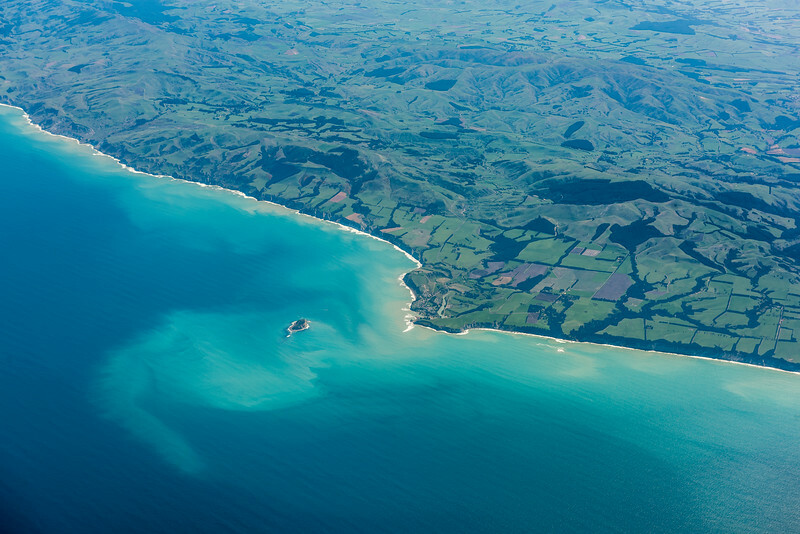 Air New Zealand flight from Napier to Wellington. 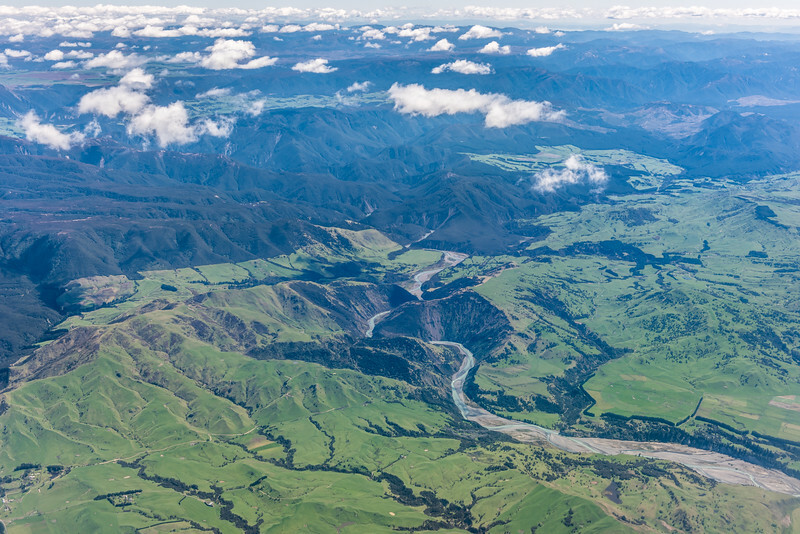 Ngaruroro River gorge. 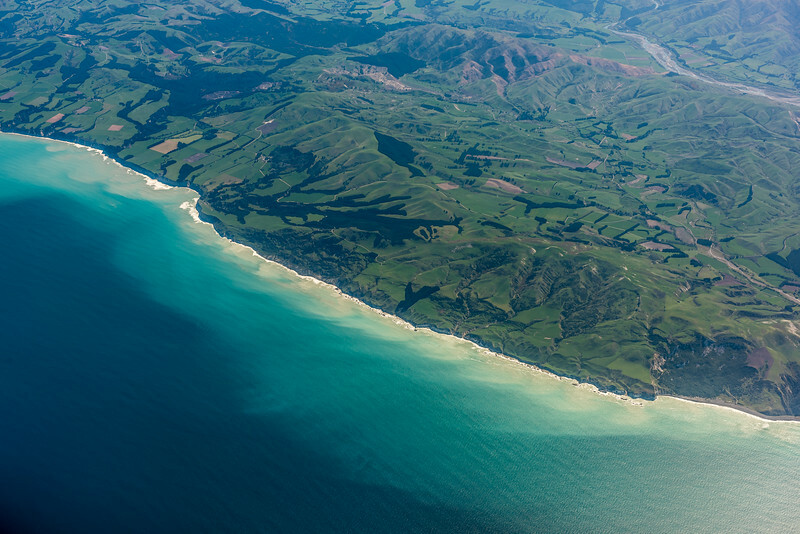 Air New Zealand flight from Napier to Wellington. 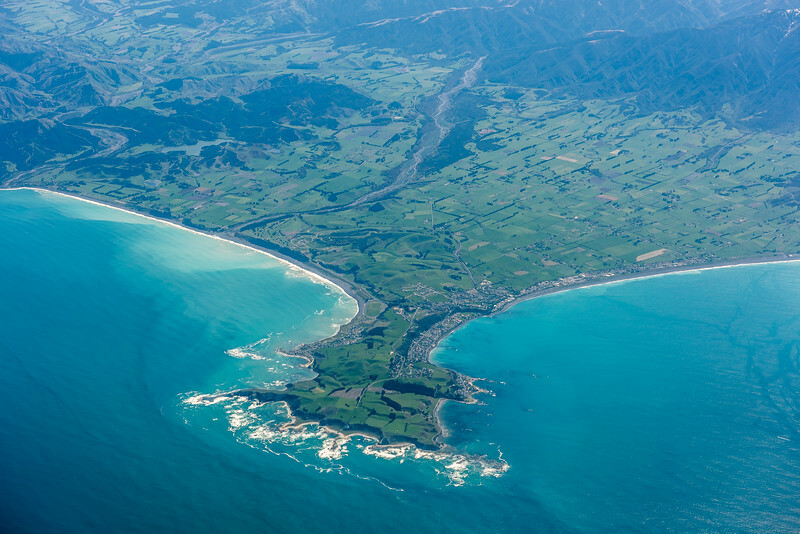 Aerial view of the White Bluffs and Big Lagoon, Blenheim, from the Air New Zealand flight from Dunedin to Wellington. 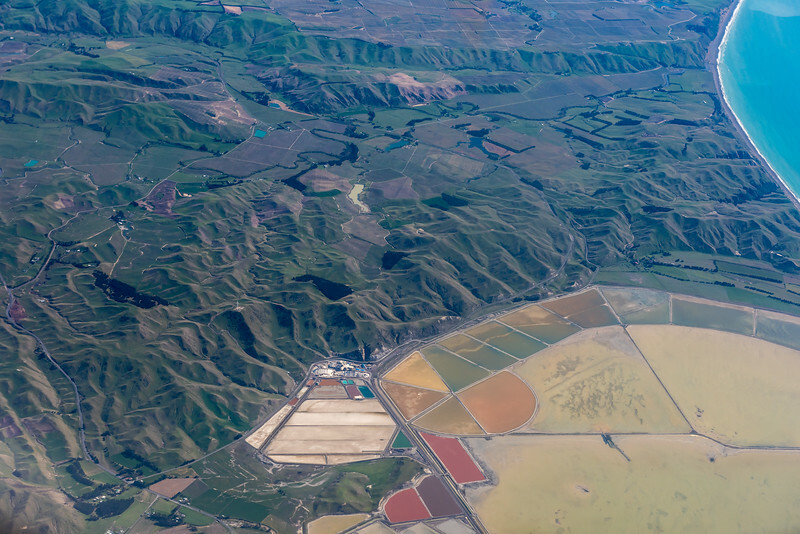 Aerial view of the salt works and evaporation ponds at Lake Grassmere / Kapara Te Hau. 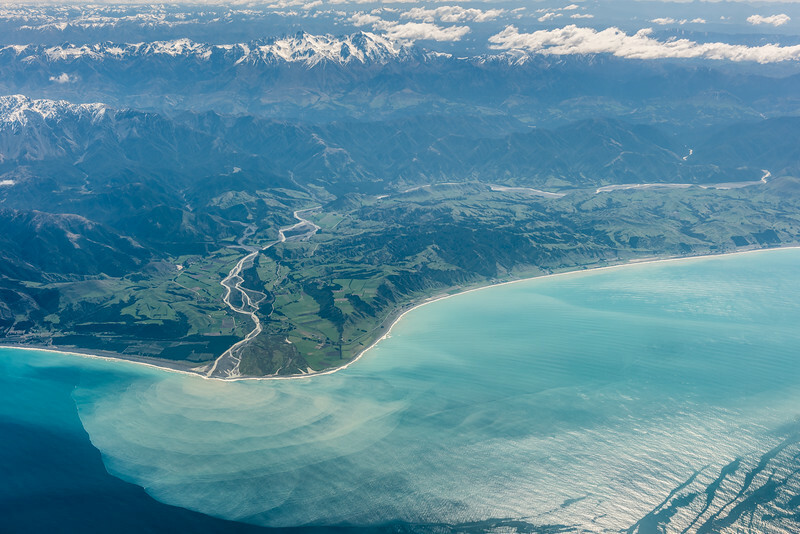 Taken from the Air New Zealand flight from Dunedin to Wellington. 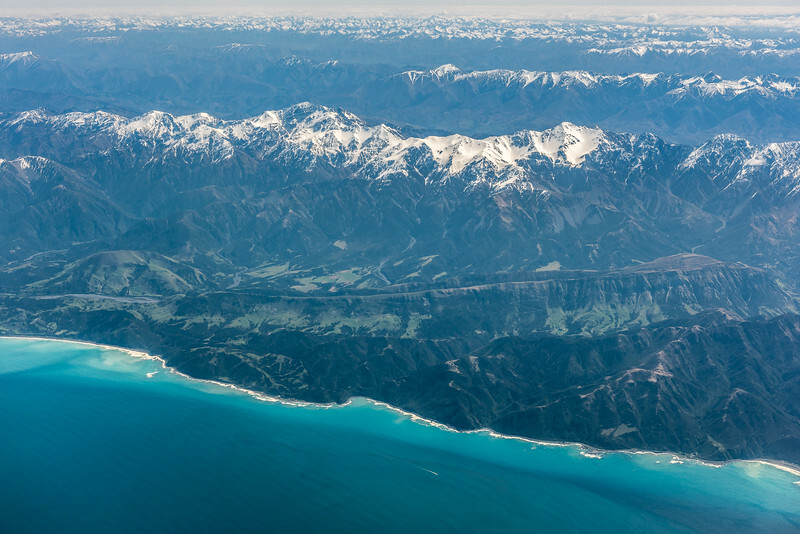 Aerial view of Mount Alarm (back left), Mitre Peak (back right) and Tapuae-O-Uenuku (front right), Inland Kaikoura Range. Air New Zealand flight from Dunedin to Wellington. 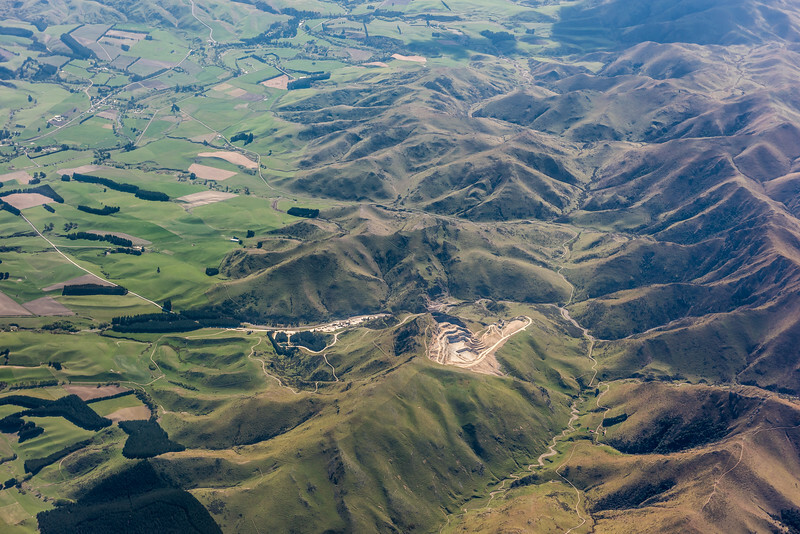 Aerial view of Manakau (2608m), highest point of the Seaward Kaikoura Range. 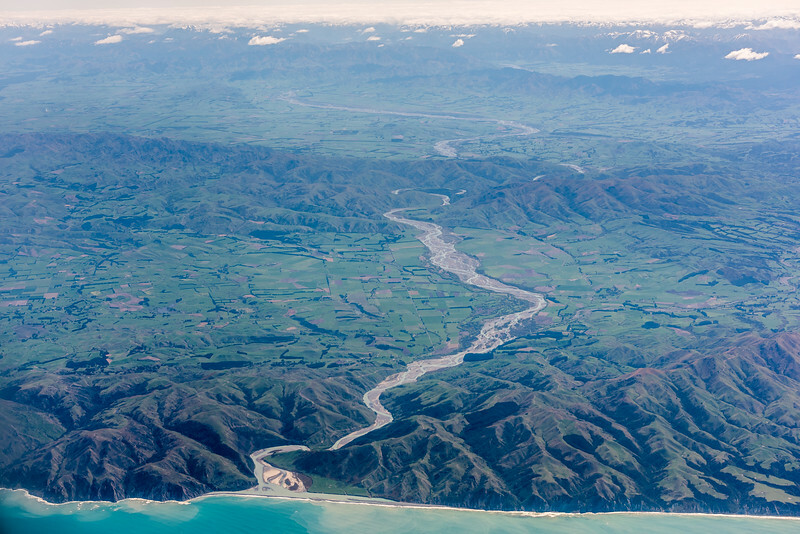 Air New Zealand flight from Dunedin to Wellington.